A few days ago we were finally able to send off a packet in the mail that we had long hoped to send. After a year and a half of work, we finished our latest research paper and submitted it to a respected, peer-reviewed journal in England. We look forward to seeing it published. Entitled: Swimming with dolphins:measuring mood change and the durability of change, it is a carefully done study of the mood state of our guests before and after swimming with dolphins. We also look at how the emotional response to our wellness program and the dolphin experience has affected their lives over time. Each guest filled out a simple form three times. 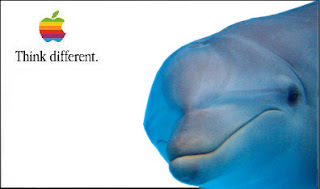 Once before any dolphin contact, once after the second dolphin swim, and at a date later on. We have our guests fill out the same questionnaire used pre-swim and post-swim at a later date to see how the mood state that they have from the dolphin experience has lasted. Each guest is assigned a random number that determines when their final, third questionnaire is sent to them, so that we can see how their mood state is at 1, 2, 4, 8, or 12 weeks post-swim. By using a well-recognised psychological "testing instrument" (the Positive And Negative Affect Survey, PANAS-X), we have been able to take advantage of many years of research into moods and their changes. Using statistical analysis, we have been able to look closely at many aspects of mood change, energy levels, positive and negative feelings...and the results are very interesting. There has been little research done over the years into how Dolphin-Assisted Therapy works and what effects one can expect. We are proud to have begun making a contribution to this neglected field. DAT is a health-promoting and successful form of therapy when done in a careful and realistic way. There are many forms of DAT, from clinical-style programs with multiple sessions, to programs such as ours, that allow each person to seek their own well-being in a supportive environment among dolphins. The field of DAT is getting closer to becoming a fully defined style of therapy, and we are delighted to be adding to the strength of it. We have had so many guests who have had life-changing moments during their dolphin encounters, we know there is something to this, something that enables change. We call it a movement toward Wellness. Following on from our recent project, we have been gathering data from our latest swim season to do a more in-depth research project, using the same instrument, and adding gender and age to the mix of factors. Our first paper was based on surveys of 53 people, with 37 returning the final questionnaire. Our next paper will be based on around 100 people, and we are anticipating at least 75 returning the final questionnaire. This will be a much larger sample, further strengthening our research. DAT deserves to be solidly supported by research. Research should be done well, so that the "ineffable" experience we have when around dolphins can be understood. Toward this goal, we have made some progress. We are very proud to be working on these research projects with our Research Fellow at the Cetacean Studies Institute, psychologist Hunter Handley. His good humour, steady hand, and excellent analysis has made this project come to life. Of course, we can not overlook the data gathering and processing and mailing work done by Amanda and me. Many thanks must also go to our guests who have been gracious enough to participate. We just finished Dolphin EDventures Wellness Program for 2007-08. What a wonderful season we had...so many fine folks came to join us in the water with the Coffs Harbour Four, swimming, playing, sharing time with a wonderful group of friendly ambassador dolphins. Calamity, the rescued female, whose tail is not strong enough to survive the rigours of ocean life, is pregnant, again. She is due to deliver sometime around the end of November, and we are all very happy about this. How wonderful, to imagine Bella with a new baby brother or sister. However, this means we will be unable to have our normal Wellness Program during the upcoming Australian summer. We have begun the search for another facility where we can do our Wellness Program, and are hoping to have arrangements made in time to begin a program in March of 2009. We will return to Coffs Harbour and the wonderful Pet Porpoise Pool in October of 2009 to resume our work here. 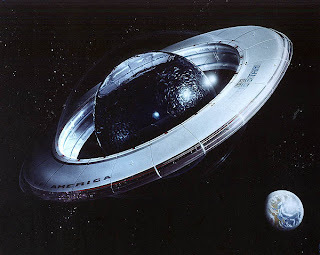 Until then, we will be searching, visiting facilities in various parts of the world, and making arrangements. Stay tuned to our blog and our website to see what we are planning. 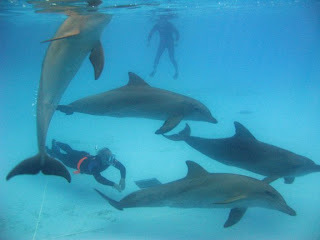 It is exciting, to begin a long-held dream of having more than one facility that allows visitors to have the deeper, quieter, more intimate kind of encounter that we encourage, where both human and dolphin can gain from the time together. We like to dream of many places in the coming years where this is possible, to satisfy the many people who want a more "authentic" time with the dolphins, not having trainers asking the dolphins for specific behaviours. We have found that, working with the wonderful staff at the Pet Porpoise Pool, that it is not only possible, but actually easy to arrange this kind of program. It requires a facility and a training staff that trusts the dolphins, treats them with all due respect, and where there is as little stress as possible upon everyone --dolphins and trainers alike, so that everyone can be at ease. In an environment where everyone is comfortable, the feeling of joy and the fun of life can easily be shared. This is where some of the wellness that so many of our guests have found comes from, the harmonious experience of several species simply enjoying the wonder of life and sharing it. To know that another being, one who is so different, is enjoying you and your companions, and that you are able to share their enjoyment -- well, that is precious. In the present moment, when we are not trying to redo the past, or attempting to live in the future, we are capable of touching the joy that exists in life. Dolphins, because they are so adept at being themselves, at being graceful in the water, so beautifully aware of all that is going on around them, show us a brilliant minded being who is present, attuned, and very aware. As one of our guests once said, "Dolphins know your story, and they don't BUY your story." They see the tensions and issues we carry, but they have no need to interact with that, only the fact that we are there, and capable of aware interaction. It is a refreshing thing to find oneself playing with someone who cares nothing about your past, or what you will do tomorrow, but is only here, only now, at ease. Our search for another home for our work will take us into a new era, and we are looking forward to it. And enjoying each moment, here and now. Dolphin stranding: Where can we put the dolphins who need to stay with us? Research shows an alarming trend in the euthanasia of stranded dolphins. With the advent of powerful organizations whose purpose is to limit, or make entirely illegal, the display of cetaceans, the opportunity for a dolphin who strands and who requires long term care-- due to circumstances that make it inhumane to return it to the sea -- has nearly disappeared in Australia. All too often, rangers working for government agencies appear at cetacean strandings with hypodermic syringes filled and ready. If a dolphin or small whale is thought unlikely to survive if returned to the water quickly, or who might require long-term care if rescued, it is killed on the spot. How many have died due to having nowhere to be taken for rehabilitation? Figures are nearly impossible to find, due to governmental efforts to keep this data from the public. In known cases, officers have arrived on the scene of a stranding with syringes in hand, immediately killing the dolphin, before any realistic assessment of the condition of the dolphin has been done. In Coffs Harbour, in 2006, a Risso’s Dolphin was found, stranded in the estuary. Local dolphin experts were in the process of getting the dolphin onto a stretcher to be carried to the Pet Porpoise Pool, one of only two facilities in Australia licensed to rehabilitate dolphins. Before they could get the dolphin onto a stretcher, a female ranger from the National Parks and Wildlife Service arrived, came down to see the dolphin, identified it as a Risso’s Dolphin (an offshore species rarely seen near land), and proceeded to inject it with a lethal dose of chemicals, killing it immediately. The necropsy carried out the following day showed absolutely no pathology. This stranded dolphin was killed for no reason. It had no identifiable illness, disease, or parasites. Ironically, it was only meters away from one of the only rescue facilities capable of helping that lonely stranded dolphin. If this Risso’s Dolphin had been given a fair go, it could have been helped to recover, and would have been taken to sea and released. If she had not be able to live in the ocean, she could have been given a lifetime of excellent care, living among humans as a sort of Ambassador for her kind. The policy of NPWS is that “the best interests of the stranded cetaceans will be taken into consideration at all times”. While this is the established and published policy, in fact, the local district managers give verbal instructions to rangers to euthanise in nearly every case. 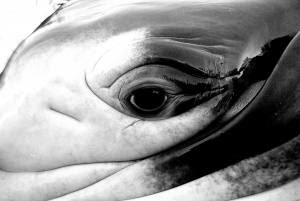 The window of opportunity for a dolphin to become an Ambassador has shut in Australia. How many people among the millions who love dolphins, who surf beside them, watch them from headlands and beaches, and who come to see them at either Sea World or the Pet Porpoise Pool, know that dolphins are being killed regularly by their government? In a maddening case on the NSW coast, near the town of Cabarita, July 17th 2006, a very young Humpback Whale was found stranded in shallow water. Rescuers arrived and were ready to help her back into the surf when officials from NPWS decided to have her moved up onto the beach, above the high water mark, so that “assessments could be done”. Stated at the time, the reason was “to get blood samples and to see if her mother could be spotted nearby”. However, instead of allowing for the whale’s own natural ability to find her own mother, or to make her way out into the open ocean where other whales might be found to swim with and protect her, the officials chose to keep her stranded on the beach, far above where she had been. As the tide receded, she became well and truly stranded. She lay on her belly, crushing her own lungs and internal organs. She died a horrible, slow, lingering death before the anguished eyes of the rescuers. The official report stated that this whale had no chance of being able to survive the open sea. In fact, this was an ill-informed opinion, not a verifiable certainty, and her life was ended by lethal injection only after many, many hours of terrible suffering. Eye of the Cabarita whale, in agony as she died on the beach. Australia has nearly 60,000 kilometres of coastline. There are many thousands of kilometres of beaches where cetaceans can and do strand. With only two facilities -- within 250 kilometres of each other on the east coast -- licensed to hold dolphins or small whales for rehabilitation, where do the dolphins go who might be rescued, helped to regain their health over time, and either be put back in the ocean, or given a lifetime of care? The answer is: there is no legal way for a dolphin to be helped, other than to kill it to put it out of its suffering. In a country that loves the ocean and the beaches, where it is said that 75% of the population lives within 100 k of the ocean, that enjoys a worldwide reputation as ocean lovers, and especially dolphin and whale lovers, how has this come to be? Following the historic Frost Report in 1978, which recommended that all Australian whaling cease immediately, based on a comprehensive study carried out under Prime Minister Malcolm Fraser, the general mood in Australia, especially among environmental organizations and animal welfare advocacy groups, was that all uses and potential abuses of cetaceans, including dolphins, must come under careful scrutiny. Commendably, this was the result of dolphins having played a significant role in the research that led up to the report’s conclusions. 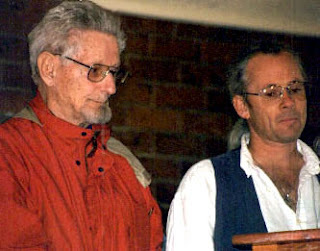 Experts from Dr. John Lilly, to Roger Payne, to Karen Pryor, Hec Goodall (of Coffs Harbour and the Pet Porpoise Pool), Dr Bill Dawbin, Dr Peter Singer, and many others testified to the mental, emotional, and social sophistication of dolphins. Using dolphins as the only cetaceans about which much was known, it was projected that whales had many of the same qualities. On this basis, whaling was stopped. The direct result of the campaign against whaling was another campaign, this time to close down the dolphinariums. Activists, empowered by their success in shutting down the whaling industry (although by the time of the Frost Report, only one whaling station continued to exist, as the whales had nearly been driven to extinction), organised to close the places where dolphins were under the care of humans. Of the nine dolphin facilities in Australia at that time, only two now remain. A combination of economics, social pressure, and growing investigative powers being vested in various government agencies, began too have their effect: the facilities bowed to pressure and closed down, one by one. Tragically, many of the dolphins who had been living among humans were now turned out to sea, and were either seen to die, or disappeared quickly, their fates unknown. What does one do with a dolphin if no one is willing to take it? 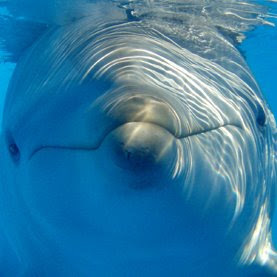 Atlantis, a large marine animal facility in Western Australia, had nine dolphins when they decided to yield to public and government pressures, and close. 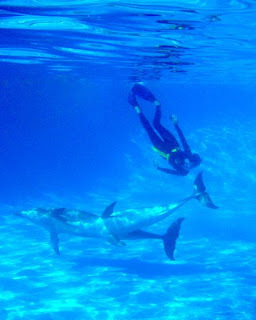 They offered their dolphins to Underwater World in Perth, who accepted them and began a program to prepare them for a return to, or in some cases a first look at, the sea. The story is well documented. Of the nine, three disappeared, with only one ever being seen again, despite having had a freeze brand upon its dorsal fin. Three others died, killed by sharks as witnessed by observers. The three remaining dolphins simply refused to leave, and returned repeatedly to the boat harbour, begging fish from boaters. The three who were begging food were retaken into human care. In a mysterious incident, and to this day not publicly explained as to who did it, or how it was done, they were all poisoned and died. The community expressed its outrage, tears were shed, local authorities insisted that they would not rest until the culprits were found and punished, and the entire affair was eventually shoved back into the collective memory and ignored. When Hec Goodall and some of his mates decided to build an animal rehabilitation centre in Coffs Harbour in the late 60s, it made sense to build it next to an estuary. Land was purchased, funds were raised, and building commenced. By Boxing Day of 1970, the Pet Porpoise Pool was open. Not long after opening, a call came in, alerting the staff to a stranding event in the nearby Nambucca River. In an oyster lease, on a sandbar, were found four dolphins, badly sunburned, dehydrated, and suffering. Before they could all be rescued, two died. The other two were brought to the PPP and rehabilitation began. Based on Hec's and the Pickering brothers experience at the Jack Evans Porpoise Pool in Tweed Heads, they were able, somehow, to keep the dolphins alive. The older one was a female and it was initially thought that she was the other one’s mother. Quickly they realised she was not – she was not lactating, and showed no maternal interest in the other, much younger rescuee. The young one was judged to be about one year old, and was named Buck, for the Nambucca River where he was found. Both young Buck and the female recovered. However, both were badly damaged, and it had taken over a year to deem them healthy again. The female was not strong enough to go back to sea, and young Buck had, by then, entirely forgotten the ways of the wild. He had lived in very clean, disease-and-parasite-free water, had been fed five times a day, and had grown quite attached to his human family. It was decided, by government officials, veterinarians, and the staff at the Pet Porpoise Pool, to keep both dolphins at the PPP. Thus began the amazing life of Buck. His female friend died of natural causes a few years later, but as of this date, Buck is still with us, at the age of 37, having spent 36 years among humans. Buck is a delightfully friendly dolphin. He genuinely likes people, approaching all who come to the side of his pool, allowing caresses and seeking out those willing to play catch with a ball. He has, in a conservative estimate, befriended nearly a million people in his many years. When Hec Goodall was told that he should begin making plans to close the Pet Porpoise Pool, he thought of Buck. Could he survive in an ocean he had not known since he was an infant? Could he, in good conscience, tell the public that, due to government regulations, he was going to condemn Buck to certain death? No, it was not going to happen. 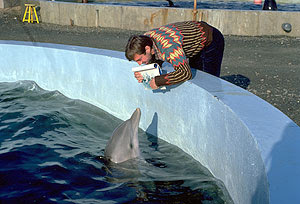 Hec Goodall then began a 20-year campaign to get a permanent license to rehabilitate, or display if unable to be returned to the sea, any dolphin who should make it into his facility. It took a terrible toll on Hec, but he managed to do it. 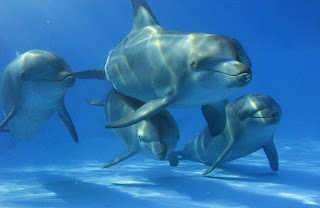 In October of 2004, the Pet Porpoise Pool was granted a permanent license to house dolphins. Calamity, a female dolphin, was rescued in 1995, not once, but twice. Her tail wrapped with fishing gear, and badly wounded, she was found near the mouth of the Tweed River. Healed and grown strong again, she was returned to the sea. Several months later she was found again, this time with over 10 kilos of fishing line wrapped around her tail stock, so tightly her flukes were nearly severed. This time, once she was healthy again, it was clear that her weakened tail would not allow her to survive at sea. Many dolphins have come and gone from the Pet Porpoise Pool. Many have been rehabilitated and returned to the ocean. Some have died, despite heroic efforts to help them live. 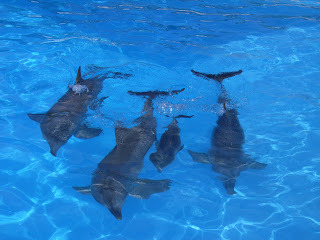 At present (April 2008), there are four dolphins at the PPP, including Buck and Calamity, Buck’s son Zip, who is 19 years old, and young Bella, the energetic daughter of Buck and Calamity. What are the chances for a dolphin who strands today, to be given a lifetime of excellent care, and a role as a teacher, ambassador, and example of compassionate care for Nature? Unless it happens close to Sea World on the Gold Coast, or near Coffs Harbour, and a National Parks and Wildlife Service ranger can be prevented from killing it immediately, its chances are virtually nonexistent. Based on the NPWS idea that the Australian public does not want to see dolphins under human care, an old idea left over from the days of the “End the Whaling” campaigns, rangers are told to exercise their authority to euthanise all dolphins who cannot be expected to survive a very short period of stabilisation. In practice, this means that all dolphins are put down if they cannot be refloated and released on the spot. At present there are only a handful of citizens in Australia trained to act as official dolphin or whale stranding volunteers. The pitifully small numbers, with little equipment, virtually no sea-water pools designated to serve as holding pools, and no government support, can do next to nothing in the event of a stranding. Where can the dolphins go? The Cetacean Studies Institute has hopes that a national education campaign can be undertaken, aimed at several outcomes. 1) A change of legislation to govern the NPWS policies regarding stranded dolphins and small whales. Rules must be written that will allow for stranding teams to help dolphins and small whales to be taken into care if at all possible. 2) A national stranding network should be designed, publicised, and supported by government grants, with trained, well-equipped teams and designated salt-water pools listed. 3) Regional centres should be built to rehabilitate, return to the wild, or provide excellent lives for marine animals, at government expense. 4) Legislation should be passed to allow for more licenses for rehab and display facilities where dolphins can be given care, and whose talents can be researched. 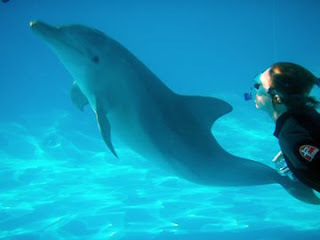 5) Because dolphins living among humans live lives that are not as rich with challenges and opportunities to use their extraordinary abilities, and who need, and deserve, enrichment in their lives to keep them healthy, Dolphin-Assisted Therapy should be given support as a means to help dolphins, and as a real therapy, especially valuable for special-needs children, as well as a rejuvenating aspect of wellness programs. As an independent research and education institute, we urge the Australian public to look closely at this situation, and write or talk to your local representative to initiate new legislation, enabling stranded dolphins and whales to be taken care of, and if necessary, given a meaningful -- and much longer -- life among humans. They offer us so much. Isn't it time that we show them the compassion they deserve?